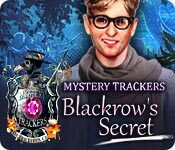 Mystery Trackers: Blackrow's Secret is rated 3.4 out of 5 by 22. Rated 4 out of 5 by PATinPNS from And the Secret is Out This is posted after playing the entire game. This was a fun game. Not as long as I thought it would have been, but it gave me an afternoon of enjoyment. The graphics were good and the voice overs excellent. I always turn the music down low, but what I heard, was right with the story and what was happening at the time. 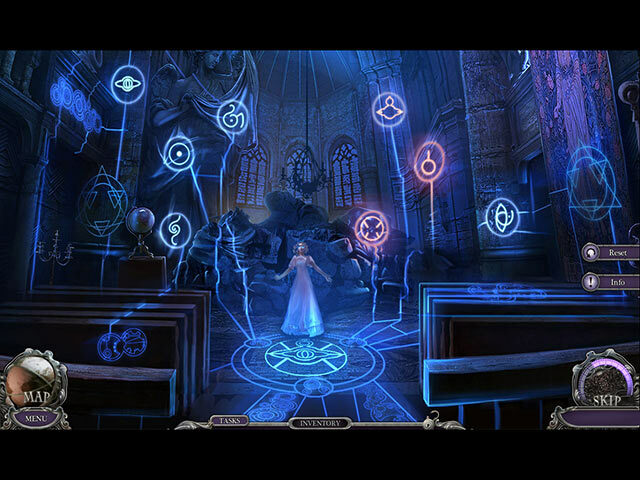 The hidden objects were well drawn as was the scenery. The hidden objects were good. They were the list kind, but not pushovers by any means. Mini games must have been easy, because I did most of them and that is unusual for me. I did skip several, but they both, hidden objects and mini games were challenge enough for me. You have a journal/diary which I hate to admit I forgot all about and didn't use. The map was a great help and the hint, which recharged pretty quick, was excellent. I almost forgot Alf, the little helper. I know some don't like the animal helpers, but I do. Guess even at my age I'm a kid at heart. The story was the usual for this series and Big Fish does a great job describing it. The story offered enough information to keep my attention. Good storyline with a twist or two thrown in for good measure. The ending left open a sequel, because not everything returned to as it should be. I did get lost a couple of times in the story, but found myself pretty quickly. This is a keeper, not a masterpiece, but darn good. I'm glad I didn't judge it by the demo or I probably wouldn't have purchased it, but I'm glad I did. Rated 3 out of 5 by Cookie2012 from It was OK Storyline was good, but needed to be longer. Rated 2 out of 5 by samysam1313 from Another Dark and Evil Story Just played the demo and all I can say is that it looks like an older game. I just wan't impressed with this game so far and I really am not into dark and evil story lines. Why are so many games dealing with this subject matter. Can't the devs come up with nice stories that don't involve, death, murder and evil? What's wrong with these people? Why is everyone into death and evil? I didn't much care for the device to see evil energy that always needed a new battery after just one use. I thought these games were supposed to be HOS games yet there are a lot more of those mini games than HOS and I don't care for most of the mini games. Some are OK but some are just more annoying than fun.This game was on sale for $3.05 but even at that price, I'm not buying. They have one of these deals every day so I''l buy the ones I like better. Rated 2 out of 5 by candacemae79 from So far, the only Big Fish game I've disliked. Graphics were okay. The storyline was lacking and anticlimactic. I never really got into the game and instead went through the motions waiting for it to be over. Puzzles were confusing - some of them weren't even puzzles really at all - like way too easy to be considered any kind of puzzle. And a couple I didn't understand what I needed to do to interact with the puzzle. That was odd. Overall, this one was a dud. I'm glad I only paid $2.99 for it. I would have been mad if it had been more. Rated 2 out of 5 by Geollyn from Too Dark The last two Mystery Trackers games have gotten much more dark and dreary, dealing with death, evil ghosts, the macabre. I was disappointed to see that the game developers are making the game even more depressing. 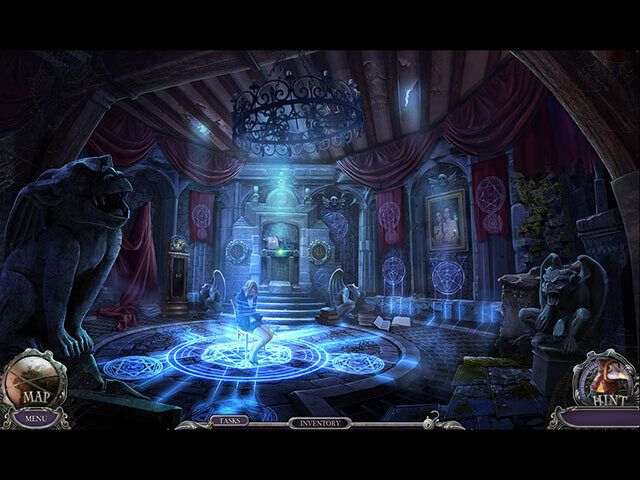 Mystery Case Files crossed the line back with Ravenhurst in my opinion. I quit playing that series. However, both game series are done by the same company. Maybe they no longer care or notice that both series are more alike than ever. The game itself has terrific graphics, moderately difficult puzzles, and really cut down on the back and forth between scenes. That's about the only thing I could say positive. Rated 2 out of 5 by retiredrn from not up to Mystery Trackers standards Expected it to be more interesting. Did not particularly like the puzzles. 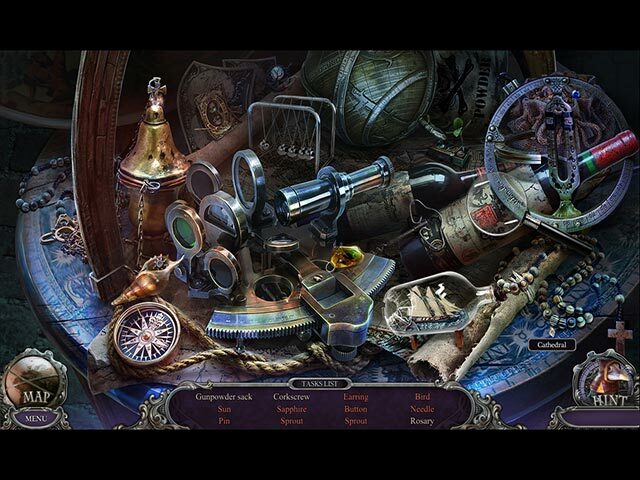 Story was boring and really needed more hidden objects. Just wanted it to be over. Silly story. Rated 1 out of 5 by b2u4 from Disappointing 1st - the HOs & other areas you had to click on the exact spot- if not, you have to keep trying. 2nd - I should have known better - too much darkness, witch/devil type story & why I didn't listen to the audio. The good part, there is a map that will show you where there is an open action/job to do & you can click on that & it will take you to that location. Rated 1 out of 5 by baa27 from Surprisingly poor Mystery Trackers Game Based on finished SE game. Up until this game I've found the Mystery Trackers games interesting, fun, full of good puzzles and great storylines. Sadly if Mystery Trackers wasn't in the name I wouldn't have recognised it as one in this series. It's far shorter than the others, it took me just under 3 hours to finish the game. The story is poor with shades of Ravenhearst but not of that quality and it made no sense, it felt rushed. It seemed to rely on spirits rushing towards the screen more than a story. It started out well but drifted off and suddenly finished so it was just enough to hook me into buying the game. The challenge levels on the puzzles are too easy, the graphics are dark and hard to see. It almost seems as though the makers asked an appentice to do it, at that level it's a reasonable try but for a Mystery Trackers game it is no where near good enough.